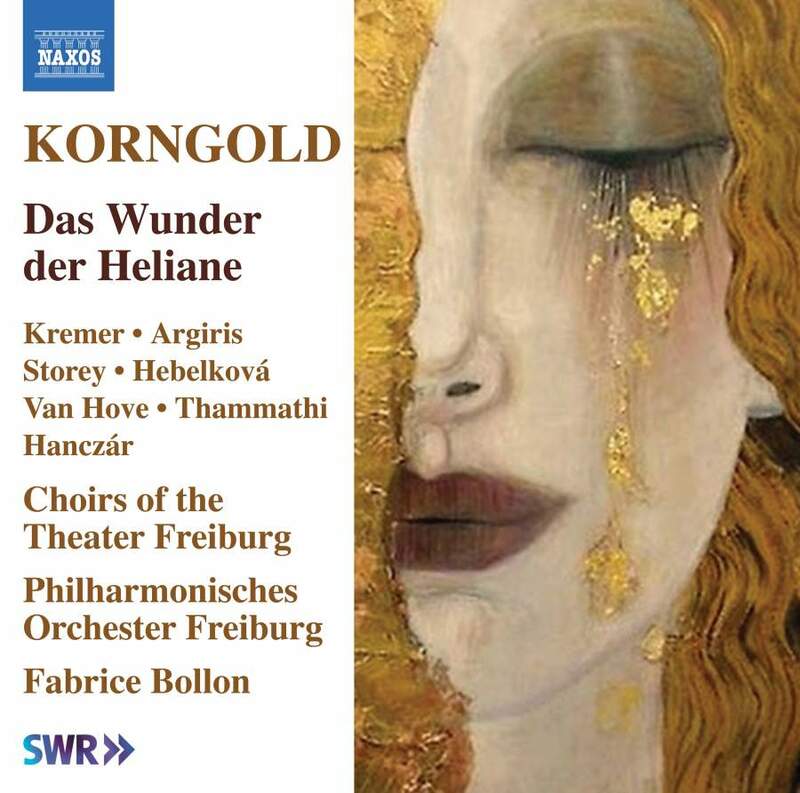 The 26-year-old Erich Wolfgang Korngold started work on his fourth opera Das Wunder der Heliane in 1923 and, as far as he was concerned, the results bettered even Die Tote Stadt, at that time one of the most popular and frequently staged of 20th-century music dramas. Based on Die Heilige (The Saint) by a recently deceased, now completely forgotten expressionist playwright by the name of Hans Kaltneker (1895–1919), it tells of a charismatic young man (The Stranger) imprisoned by a despot (The Ruler) for preaching a doctrine of love. When the Ruler’s wife visits him in his cell to offer comfort, the Stranger asks only to see her naked. Caught in the act, Heliane is arrested and tried for suspected adultery, but rather than testify, the Stranger kills himself. The Ruler then declares Heliane to be guilty unless she can perform a miracle and bring him back to life. The 1927 Vienna premiere featured an all-star cast with Lotte Lehmann as Heliane and Jan Kiepura as The Stranger. Although a critical success, receiving 27 performances that season, it soon disappeared from the repertoire when Korngold’s oeuvre fell foul of the Nazi regime. A 1993 recording as part of Decca’s pioneering Entartete Musik series showed it to be a masterly score, but the massive forces required have tended to mitigate against subsequent stagings. Good though John Mauceri’s 1993 recording is, this new set, taken from a Freiburg concert performance under conductor Fabrice Bollon, is in nearly every respect even more effective. Bollon is adept at gauging the dramatic temperature and pacing matters to best effect. What seemed a curiosity, now feels like a viable music drama, while Korngold’s luscious orchestrations are revealed in even finer shades of Technicolor. Two of the three main principals walk the floor with their predecessors. Where Anna Tomowa-Sintow for Mauceri merely wobbles her way through the role, Annemarie Kremer for Naxos delivers a firm, bright-voiced Heliane, her voice creamy yet forceful, rising to the passionate climax of the opera’s most famous aria – Ich ging zu ihm – with thrilling steadiness. Greek baritone Aris Argiris makes a far subtler fist of the Ruler than Decca’s bellowing Hartmut Welker, creating the three-dimensional character so essential to give the story some internal tension. Sadly, the new set is let down by the once fine Ian Storey who now sounds unsteady, dry and elderly of tone where the Stranger should sound both sensual and virile. Nevertheless, two out of three ain’t bad, and this warmer and dramatically more visceral take deserves a warm welcome. ★★★★★ John Wilson’s passion and panache has Sydney shouting Hooray for Hollywood. The guest director of the ACO pays tribute to his beloved hometown in an all-Viennese program. Cheryl Barker and Jose Carbo unveil the new opera season in style.